Colwell's Triple Thermic Engine model A rather exotic and dangerous working fluid. This is a very obscure corner of technology indeed, and I can only offer a few crumbs of information at present. If anyone knows more, I would be most gratified to hear from them. The boiling point of carbon disulphide is only 46.3�C at atmospheric pressure. Unfortunately, any stand-alone cycle using volatile liquids is doomed to inefficiency because the temperature at which the heat is taken up is low. See: Thermodynamics: Carnot efficiency. However the low boiling point means it can be made to boil by heat rejected from other processes, in a "bottoming cycle" that produces extra useful work. The info here is as given by Wiliam Colwell in his book, tersely entitled 'Triple Thermic Motor'. The first person known to have considered carbon disulphide as a working fluid was Charles William Siemens who proposed using a mixture of carbon disulphide and steam, but gave no practical details. The first patent granted for 'Employment of Vapourised Bi-Sulphide of Carbon as a Motive Power' was in England, to Charles Frederick Stansbury in 1854. This was a communication from Bernard Hughes of Rochester, NY, who proposed to fill a boiler with carbon disulphide and heat it in the usual way. Alternatively he suggested a boiler half-full of water, into which the liquid carbon disulphide was injected. Bernard Hughes is unknown to Google. Arthur Vincent Newton proposed in an English patent in 1856, to use a devil's brew of 1 part coal tar, 8 parts oil, and 8 parts carbon disulphide, which was described as a 'gaseous liquid' which I suggest is a contradiction. It appears that acid was added to convert the carbon disulphide to carbon dioxide, which makes one wonder what the other ingredients were there for. J O York in a 1856 English patent, proposed to vapourise carbon disulphide by injecting it into a generator heated by steam. In this scheme carbon disulphide is heated directly in a boiler that was part-filled with glycerine. Given the inflammability of carbon disulphide this strikes me as a hazardous process. Thomas Fell and Henry Bunster explain in their patent that all previous attempts at carbon disulphide engines have failed because when the hot CS2 vapour contacts metal in the presence of water, it reacts, leaving the sulphide of the metal and liberating carbon. (I have no idea if this is correct- I am just quoting them) Their idea was to use glycerine to heat the CS2 vapour and cover the metal parts with a thin protective film. They say "The properties of bisulphide of carbon are well known. 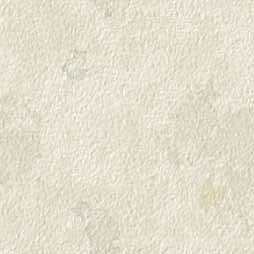 It is easily evaporated into a dense vapour, the gravity of which is 2.621, by a heat of 110� Fahrenheit. The latent heat absorbed for vaporization is about 280� Fahrenheit, that of steam being nearly 1000�, or a saving in fuel of 71 per cent." The saving of fuel is of course thermodynamically infeasible, and saying that latent heat is measured in units of temperature does not inspire confidence. A is the boiler, part-filled with glycerine, B the condenser, C the boiler feed pump, and E "an ordinary engine". The liquid CS2 was sprayed onto the surface of the glycerine in the boiler. The safety-valve on top of the boiler does not exhaust to the air (for which we may be thankful) but connects with the exhaust pipe from the engine to the condenser. The patent gives no clue as to whether this scheme was ever constructed and tested, but F & B are unknown to Google apart from this patent, so probably not. The F & B patent mentions the exploits of Bernard Hughes, (see above) who in 1854 patented a method of injecting carbon disulphide into water, and using the resulting vapour to propel machinery. The big name in carbon disulphide engines is William S Cowell, of Pittsburgh, Pennsylvania. William S Colwell was granted US patent 220,220 for a 'Motor and apparatus for utilising it' in October 1879. This appears to have been his first foray into the world of carbon disulphide. One of the patent claims was for coating the vessels used with tin to prevent corrosion from the carbon disulphide. In this design the carbon disulphide is heated not directly in a boiler but indirectly by steam. The steam boiler A passes steam to the disulphide boiler by pipes D and D', which steam-jacket the disulphide cylinder H. The disulphide vapour passes to the engine cylinder H via a pipe t, which is concentrically inside pipe D'. The exhaust disulphide goes via pipe u to the disulphide condenser at F, which is supplied with both cooling water and forced to agitate the water. 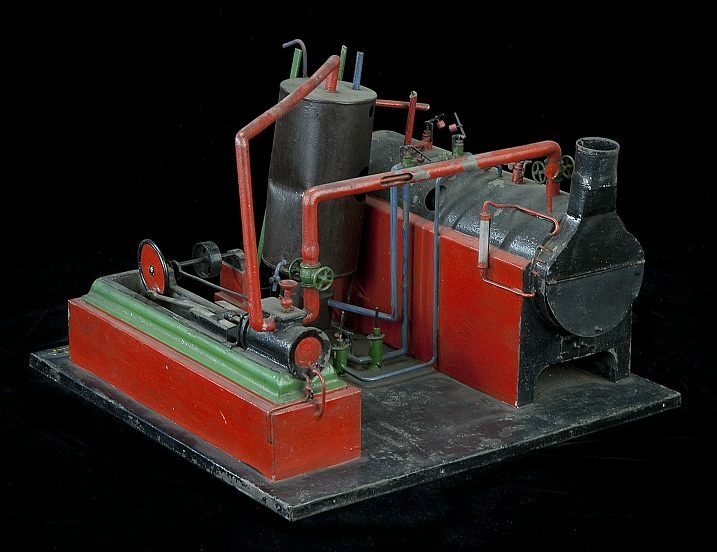 As is often the case, the patent text is long and complicated, but having pieced through it I have not found any claim that this machinery will be more efficient than a much simpler conventional steam engine, though it does claim 'great economy'. There is a passage about the heat from the exhaust carbon disulphide being returned to the vapour generator, but unless the heat is being pumped uphill by the expenditure of energy, this is forbidden by the Second Law of Thermodynamics. This diagram shows the steam boiler with its coal fire very close to the carbon disulphide plumbing, which would be highly dangerous. This was presumably just to get it all in one diagram, and one hopes that if this machinery was actually built the steam boiler was a long way away. "The advantage of the method and means hereinbefore described for evolving the bisulphide of carbon into a vapour for a motor without the presence of fire at or near the vaporizing chamber is a very important feature of my invention, the advantage and value of which cannot be overestimated..." I quite agree. However, Colwell does not specifically warn that carbon disulphide is highly inflammable, and nowhere in the patent does he mention that it is poisonous. 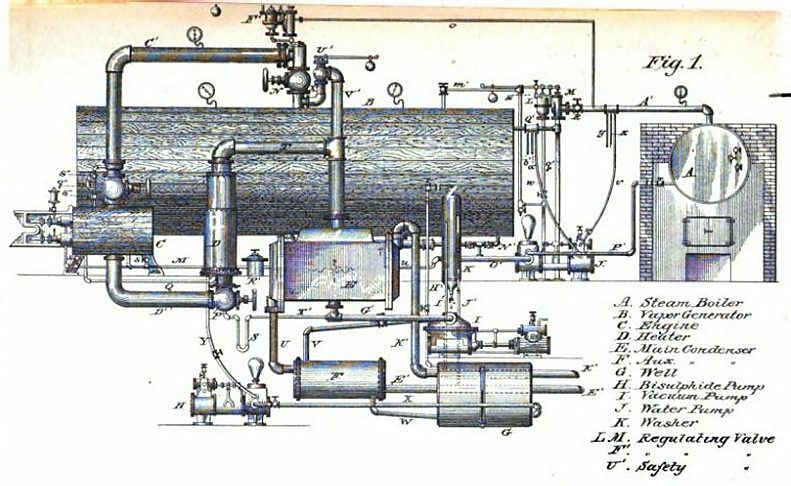 This remarkable proposal for a locomotive driven by carbon disulphide vapour is taken from US patent 225,689, filed in October 1879, by William S Colwell of Pittsburgh, Pennsylvania. Like the motor above, it uses steam to heat the liquid carbon disulphide indirectly. Colwell says in his patent that carbon disulphide vapourises at 118 degrees Fahrenheit, (the modern figure quoted above is equivalent to 115.3 degF) and will generate a pressure of 186 psi when heated to 295 degrees F.
The design is as follows: B is a conventional firebox surrounded by water-space C, connected to two small water boilers D with conventional fire-tubes e; a Y-piece f connects them to chimney g. The water-space is fitted with a steam dome h, pressure gauge j, and safety valve k, all of which are conventional. s' is an air-cooled condenser for the vapour from the engine cylinders. The two lower boilers D generate steam which passes through the tubes m and r in the carbon disulphide boiler l at the top, which Colwell calls "the evolving chamber". This boiler is surrounded by another space q, which is filled with a non-inflammable liquid. Colwell seems to have thought this was a sufficient protection against fire, though he does not specify what liquid is to be used; presumably not water as that would be boiled off by the steam tubes. The carbon disulphide boiler has an outer dome s which encloses the inner carbon disulphide dome t. A regulator valve in dome t controlled the flow of carbon disulphide vapour to two outside cylinders with slide valves. The the inner carbon disulphide dome t has a so-called "safety-valve" that presumably blasted out poisonous and inflammable carbon disulphide vapour when the pressure became excessive; this is perhaps better than an explosion, though maybe not by much, bearing in mind that this valve is only a few feet from the furnace. Quite possibly there would be an explosion anyway. In his patent Colwell admits to two problems with his exotic working fluid. The first was corrosion of the engine valves and cylinders, the second was loss of the lubricant properties of oil as carbon disulphide reacted with it. He claimed to have solved both difficulties by using finely-ground graphite mixed with oil, as a lubricant. This does seem to indicate that he had at least done some real experiments with carbon disulphide operation. Colwell claimed his engine would operate "with great economy and perfect safety". Perhaps surprisingly, he lived to take out more patents for carbon disulphide prime movers in 1882 and 1885. It is not currently known if anyone tried to actually build and operate this locomotive; one hopes not. It seems extremely unlikely that they did. "With very little loss", eh? I do hope so, because carbon disulphide is poisonous. See below. Carbon disulphide and bisulphide of carbon are of course two names for the same stuff. This is an example of using a volatile liquid in a "bottoming cycle", which is not an indelicate mode of transport, but a way of getting more work out of the same amount of heat. Ammonia has also been used for this purpose. The only case in which carbon disulphide is used directly in a single cycle appears to be the hazardous method of Fell and Bunster, above. From Knight's American Mechanical Dictionary, 1881 Edition. William Colwell's interest in carbon disulphide as a working fluid did not evaporate. He took out US patent 313,176 'Triple Thermic Motor' in March 1885, and US patents 432,510 and 432,511 with the same title in July 1890. This is not ther first time I have found two apparently identical patents with adjacent numbers. I have no idea what it means. ANOTHER WONDERFUL MOTOR; A NEW POWER WHICH MAY SUPPLANT THE STEAM ENGINE. "CHICAGO, March 1. 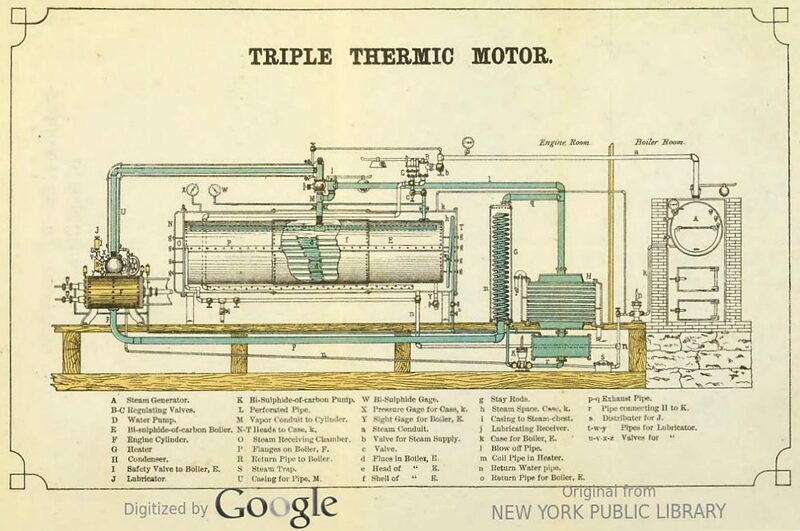 An announcement is made of the discovery of a new and remarkable motor known as "The Triple Thermic Motor." The new motive power is the vapor of bi-sulphide of carbon. It has been in practical use in driving a 60-horse power engine for six months past in a cement paving manufactory on West 46th-street, New-York." I may be wrong but I seem to detect some world-weariness in: 'ANOTHER WONDERFUL MOTOR'. I suspect that the New York Times was recalling the Zeromotor scandal which was about at the time. Another unenthusiatic reference to the Triple Thermal Motor was made in Scientific American in 1884. You can read this on the Odd Working Fluid page. 1: "Fuel consumption is reduced to one-quarter". Obvious nonsense. 2: "Does away loss of power through incrustation and corrosion in boilers." How? You're still boiling water to make steam. 3: "There is less liability of explosion." You must be joking. 4: "Its adoption by any one person or corporation in any particular line of business will make it necessary for all others engaged in the same line to adopt it or retire from business." Just a bit over-optimistic. These claims seem to indicate that the author (and I am sure it was Colwell) has by now lost all touch with engineering reality. The arrangement here appears to be much the same as in Colwell's 1879 patent. Steam is raised in the boiler A and passed to the disulphide boiler B. The vapour from this drives the engine C. The same dual-concentric pipework is used. Note that the disulphide safety valve U exhausts straight into the engine room. From the book on the Triple Thermal Motor mentioned above. Above: The Triple Thermic Motor: 1883. From the book on the Triple Thermal Motor mentioned above. At last there is explicit recognition that it might be better to have the steam-boiler and its fire in another room. In some cases, applications for patents in the US system were accompanied by models. This is the model that accompanied the 1883 Colwell patent. It looks a bit crude and it seems unlikely it was a working model. Note that the dual-concentric pipes are modelled and one is cut away to show the inner pipe. The question remains as to whether Colwell was deluded or a crook. Bearing in mind that: "...no disinterested tests were allowed, and purchasers of stock are said to have been badly stuck." (See on the Odd Working Fluid page) I'm inclined to go with the latter. There are lots of reasons why using carbon disulphide as a working fluid is not a good idea. As soon as you depart from water or air, you find yourself dealing with something that is expensive, explosive, poisonous, or all three. So what about carbon disulphide? I don't have any figures to hand for the cost of carbon disulphide, but it is clearly going to cost a lot more than water. Carbon disulphide evaporates at room temperature, and the vapour is more than twice as heavy as air. Carbon disulphide easily forms explosive mixtures with air and ignites very easily; it is dangerous when exposed to heat, flame, sparks, or friction. Vapors can be ignited by contact with an ordinary light bulb. Acute carbon disulphide poisoning is very dangerous. Absorption can occur through the skin, by ingestion or by inhalation. In severe poisoning, the subject quickly becomes comatose and death occurs in a few hours, usually due to respiratory depression and convulsions. In less severe cases local irritation, nausea, vomiting and abdominal pain are followed by headache, euphoria, hallucinations, panic delirium, paranoid reactions and suicidal tendencies. In other words, your typical engineering development project. "A low boiling point, high toxicity and an exceptional fire hazard make carbon disulphide an extremely dangerous substance; its use should be avoided wherever possible; usually a less dangerous substitute can be found." From Safety In The Chemical Laboratory" by Pieters & Creyghton, pub Butterworth 1957. Not for the first time, it occurs to me that water is a really good choice as a working fluid.